← Jewish Group Urges Australia’s Football Team To Boycott Match With Palestinian Team. Here’s Why! US Army To Set Up 4 New Military Bases In Western Iraq – Troops Left Syria For Iraq! 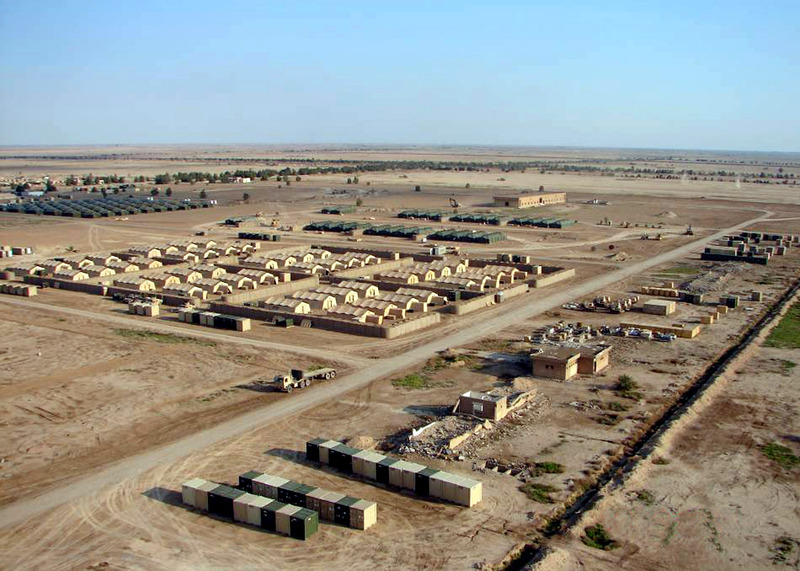 The US intends to set up four permanent bases equipped with advanced military equipment in different cities across al-Anbar province,” the Arabic-language Al-Maloumeh news website quoted a security source in al-Anbar province as saying. The source noted that the US military bases will be established in Ma’askar Tareq in Fallujah region, San al-Zib base North of al-Baghdadi, al-Khafaseh in the town of Hadisa town and another one located between the towns of Ravah and Biji West of the city of al-Ramadi. “The number of the US military bases in Iraq’s al-Anbar province will increase to 9 after the four bases are set up,” it added. However, there has yet been no report on reasons or justifications behind setting up more military bases in al-Anbar province. In a relevant development on Sunday, Iraqi sources reported that Washington has deployed large groups of soldiers in Western Iraq; a number of its military forces who were earlier stationed in Syria. The sources were quoted by Russia’s RT news channel as saying that dozens of US troops stationed in Syria have been relocated to Ein al-Assad base in al-Anbar province in Western Iraq. “Reports that the US forces who have left Syria are now stationed in Erbil in Iraqi Kurdistan region are not all true. A major part of these forces have gone to Ein al-Assad base in al-Anbar province and a number of others have been deployed in the military bases in other Iraqi provinces,” they added. According to the sources, the US forces are still stationed at the Iraqi-Syrian borders and have not left Syria completely. An informed source said on Saturday that a large number of state-of-the-art US-made weapons had been dispatched to Ein al-Assad airbase in al-Anbar province. “A number of US military planes, carrying weapons and military equipment, arrived at Ein al-Assad airbase in al-Baghdadi region in the town of Hit in Western al-Ramadi. No reason has yet been cited for these flights to the airbase and the details about the weapons which are said to be advanced,” the source was quoted as saying by Iraq’s al-Wa’e news agency. He added that a few days ago, a large number of US military vehicles had also arrived at Ein al-Assad, noting that the American forces take assistance from the security companies for transferring military equipment to their positions in Iraq and the military men are sent to different places on planes. Iraq’s Ein al-Assad airbase hosted US President Donald Trump on December 26 before the New Year. Trump underlined in his remarks that he did not intend to withdraw forces from Iraq at all. This entry was posted in News and politics and tagged 4 new US military bases, Troops From Syria, Troops to Iraq, western Iraq. Bookmark the permalink.